I have a passion for baking and adore making bespoke celebration cakes. In May 2014 I made a friend’s wedding cake and loved the whole process – my passion for cake making has grown from there. All of my creations are completely handmade, by me. All of my cakes are designed as bespoke, I will work closely with you to ensure it delivers on every level. 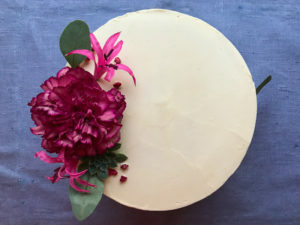 While each cake is unique, I use seasonal fruit and flavourings in each sponge and filling and they are decorated with beautiful fresh flowers, foliage and fruit. 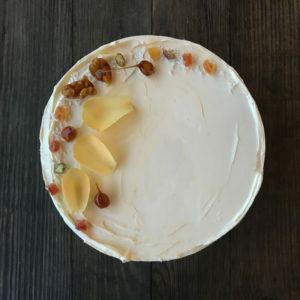 I am a firm believer in using ingredients when they are at their seasonal best. Here you’ll find a few examples of my work. 1. Matt and Carolyn’s Cake consisted of a vanilla sponge sandwiched together with homemade strawberry conserve and vanilla buttercream. 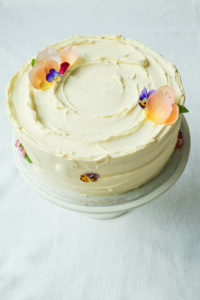 The semi-naked cake is also covered in vanilla buttercream. 2. 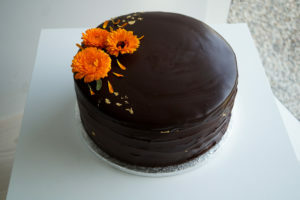 Two examples of chocolate ganache cake, on the left is double chocolate cake, pure indulgence, decorated with edible French marigolds and 24 carat gold leaf. On the right vanilla buttercream a decorated with chocolate curls and gold dust. 3. Cleo’s mummy left the design up to me but requested her favourite cake, carrot, for Cleo’s Christening, filled with orange scented cream cheese and decorated with edible flowers. 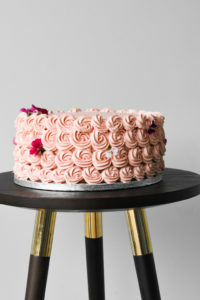 For Cleo’s 1st Birthday I made a Raspberry and Sicilian lemon cake, the buttercream is flavoured with freeze dried raspberry powder which gives it the prettiest shade of pink. 4. 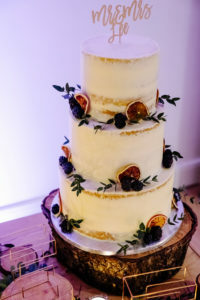 Martin and Claire commissioned their wedding cake well in advance, initially they wanted a fondant cake but over time and research decided on a semi-naked cake. 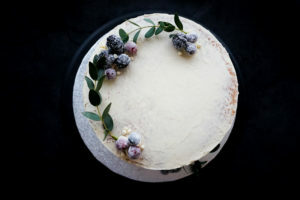 Their wedding was in November so wanted a cake to reflect late autumn. 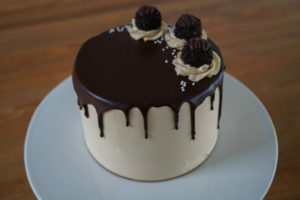 Vanilla sponge filled with homemade blackberry conserve and white chocolate ganache. 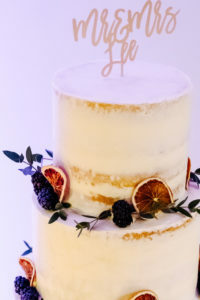 I dried blood oranges when they were in season and decorated the cake with them and fresh blackberries along with eucalyptus parvi. 5. This cake was made in December last year, as you can see I wanted it to reflect the time of year. Filled with blueberry conserve and the sponge is flavoured with lime. I frosted the blueberries and cranberries. 6. This is a personal favourite, I love the combination of passionfruit and raspberries. 7. Another carrot cake, this time for a birthday, decorated with caramel hazelnuts, coconut, crystallised papaya, pistachios and rose petals. 8. It’s fair to say that chocolate and salted caramel are a winning combination. This went down very well with the lucky birthday girl! 9. You can’t beat a fresh cream cake! 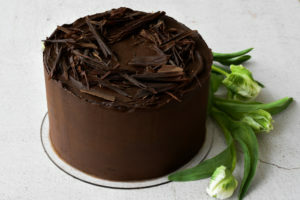 This style of cake is most popular in Scandinavia. 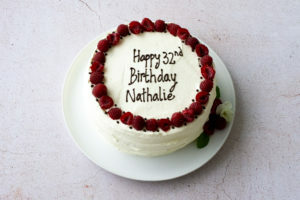 The lightest vanilla sponge sandwiched with raspberry compote and fresh vanilla scent cream, spells summer to me. I can create any flavour combination so if you’re interested in a bespoke cake do get in touch to discuss, just go to my contact page and send me an enquiry.